Delicious and low in calories. Contains natural flavours and no artificial sweeteners. 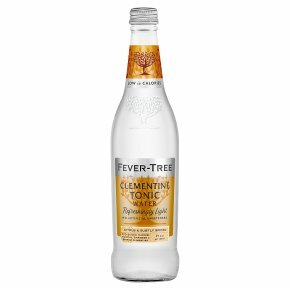 By blending fruit sugars with the highest quality quinine, sweet clementines and subtle cinnamon, we have created a perfectly balanced tonic with a refreshing taste and aroma. A unique variation of our Indian Tonic Water but with 32% fewer calories.